String quartet no. 1 / Marcellino ; Trigon Ensemble. Parts: String quartet no. 1 / Raffæle Marcellino. Score: String quartet no. 1 / Raffæle Marcellino. 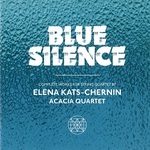 CD: Blue silence : complete works for string quartet / Elena Kats-Chernin ; Acacia Quartet. CD: The Chanterelle String Quartet / music by Stephen Lalor. 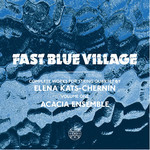 CD: Fast blue village : complete works for string quartet, volume one / by Elena Kats-Chernin ; Acacia Ensemble.